Can employees see what their mobility costs are and where they are coming from? Is there accurate budgeting, accountability and consequences for overspend? Cost visibility is crucial to driving down corporate mobility costs. It may sound like the most obvious thing in the world but the first step to reducing the cost of the mobile fleet is knowing what those costs actually are - in detail! To make mobile costs visible across the company, it will be necessary to have a baseline Asset and Service Register. It will be the benchmark for all cost analysis, and for the implementation of cost reduction strategies, especially optimisation outcomes. Keeping the Asset Register accurate is crucial to ongoing cost control success. This means setting up processes to capture upgrades, new connections, new device purchases, service changes, and devices/services changing ownership – as these activities occur. The asset register will also allow cross-referencing against the telco carrier to ensure accurate billing. An accurate asset register will be a preventative to expensive mobile devices walking out the door with departing employees, and will identify the person responsible if a device goes missing. A managed mobility service - like VoicePlus Atrium MMS - will provide lifecycle management including dynamic asset inventory processes to keep the asset register accurate. It's easy - if no one is watching - for costs to skyrocket. Visibility of an individual employee's bill keeps everyone honest. If you have a Corporate Mobile Phone Policy your employees should know what they can do with their corporate mobility. However when there is no visibility of poor behaviour, it will occur. So what is the best way to make mobility costs visible to individual employees? 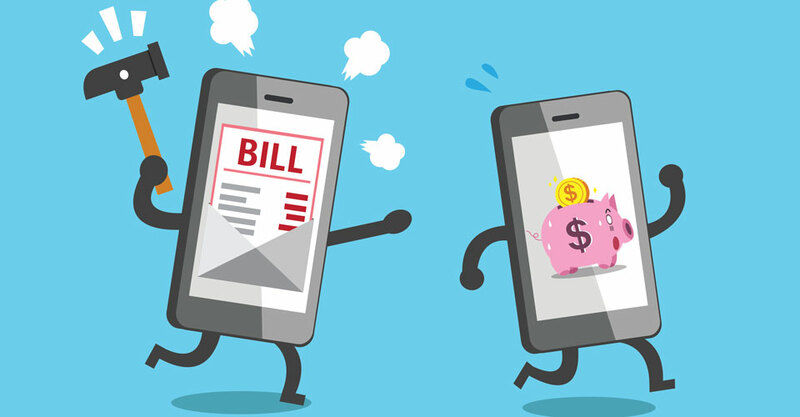 The most effective way of delivering visibility of costs is to share the monthly telco bill for each service with the end user and his/her line manager. Even better if the bill has been subjected to business intelligence analysis and is delivered to employees with any billing anomalies or non-compliant use highlighted for all to see. A Managed Mobility Service - like VoicePlus Atrium MMS - will deliver this visibility. In the case of VoicePlus Atrium each employee receives their detailed bill, along with a graphical representation of total spend over the previous three months, presented on the web portal. Over-spend and unauthorised spend is highlighted. The information is also visible to the line manager. Reporting on its own will not help in the quest to cut mobility costs. What you don't need is a swathe of beautifully prepared, colourful reports about the make-up of the fleet or your mobility spend each month. What you do need is business intelligence analysis which has taken raw data of the costs incurred and highlighted cost saving opportunities. TEMs analysis will identify and implement cost optimisation of carrier plans, services and devices. VoicePlus Atrium MMS has a TEMS module which has been recognised globally by Gartner. It’s shocking but these are the findings of two of the most respected global industry research organisations, Gartner and Aberdeen Group. An independent MMS provider, like VoicePlus, will offer a range of resolution services to act on the findings of billing errors including applying for billing credits. Having independent knowledge and visibility of spend is useful in Carrier negotiations where minimum spends are often required of the business to secure customised charges.